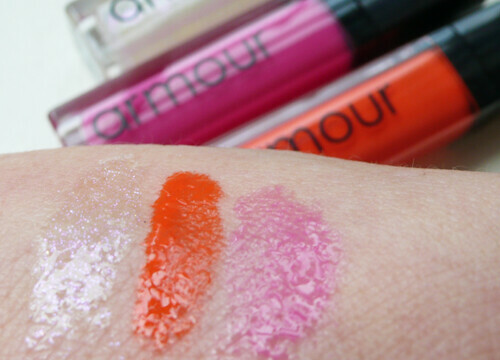 Today’s 48 hour beauty sale kicks off at 11am E with lip gloss trios from Armour for $50 (retail $63), but 3 lucky winners will get my trio pick just for signing up for gloss48 here. 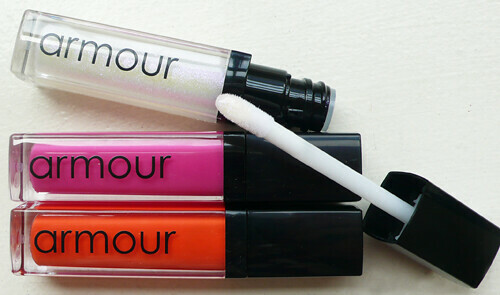 Armour was created by rocker and model Theo Kogan to solve a common issue: lip gloss that wouldn’t stay put on stage. These cruelty-free, earth friendly glosses are packed with shea + olive butters and avocado oil, so they feel super moisturizing but manage to stay put with a clingy but non-sticky formula that you kind of have to experience to understand. My favorites for summer are the magical Marilyn, which looks white/iridescent but creates a really naturally pink yet dynamic, full-looking lip; the on-trend bright coral Lucy; and the sheer pink Cat Club. TO ENTER TO WIN THIS SUMMER LIP WARDROBE ($63 value), there’s only one step > click over to gloss48’s Facebook and submit your entry!